"Box 1 number 7. This is a picture from 1940; we approximate from 40. It may be the late 30s but we’re not sure. 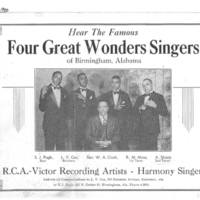 It’s a picture of the Four Great Wonder Singers of Birmingham, Alabama, and the person that we are most familiar with is the organizer of this group W. A. Clark who we know was a radio minister in the, certainly in the 40s and at WJLD. We try to approximate years by phone numbers and whether or not the phone numbers have 5, 6, or 7 digits and this one had 5. So we’re approximating 1940. 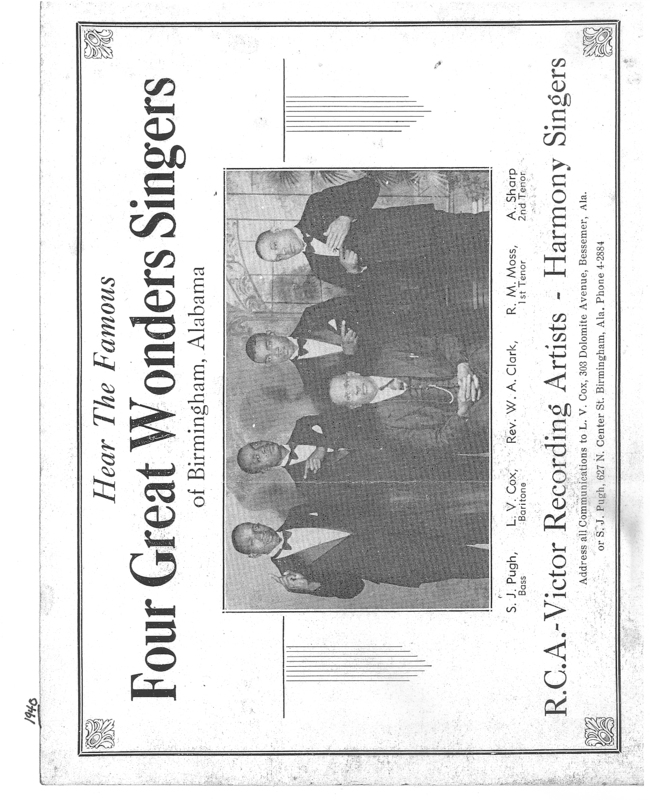 We do know that W. A. Clark had a ministry in 1945 at WJLD. We also know that he had a ministry on WSGN in 1943. From the collection of Doug Seroff." 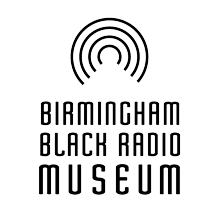 “Four Great Wonders Singers of Birmingham, Alabama,” The Birmingham Black Radio Museum, accessed April 21, 2019, http://thebbrm.org/item/117.